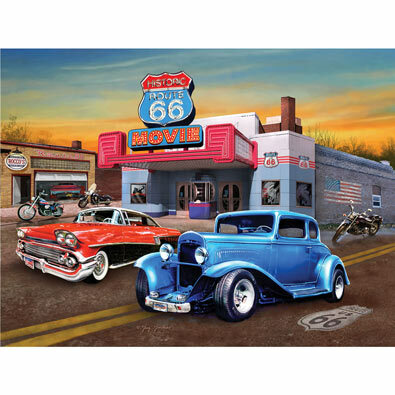 This 550-piece jigsaw puzzle is designed by Greg Giordano and measures 18" x 24". Greg Giordano, born in 1960, has been painting all his life. He takes yearly painting trips throughout North America to study the diverse subject matter found in his work. Giordano Studios is a renowned brand known for its warm and traditional take on nature and wildlife designs among others. Each puzzle has 550 pieces and measures 18" x 24".